BEIRUT, LEBANON (5:10 P.M.) – The U.S. Secretary of State, Rex Tillerson, stated on Thursday that the reign of the Assad family is coming to an end, contrasting his previous comments in March declaring that the Syrian President’s removal was not a priority for the U.S. regime. “The reign of the Assad family is coming to an end,” Tillerson stated after his meeting with the head of the UN Envoy of Syria, Stephan de Mistura, in Geneva. Tillerson stated he is unsure of how to bring about Assad’s end, but remained confident this would happen. The Secretary of State would then take a shot at the Syrian Army, claiming they are only successful because of Russian airstrikes. “The only reason Syrian forces have been successful has been because of the air support they have received from Russia,” Tillerson concluded. When Tillerson’s reign comes to an end (likely before end 2017), Assad will still be there. When Trump’s term comes to an end (even if he wins a second term) Assad will still be there. 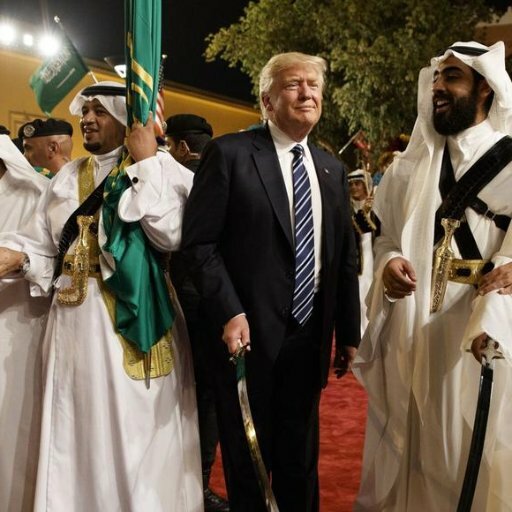 Get used to it: The US and its proxies have lost this war. It is so over. Another one… It gets funny in the meantime. How many of those creatures saw Bashar al-Assad already gone?? From Erdog till F(M)erkel all of those creatures made the same prediction, none of those been right and will be! Tillerson just invoked the ‘Assad Must Go’ Curse. Wonder how long before his career is over. hahahahaha……Tillerson soon to be the victim of the Assad curse. Hopefully VERY VERY soon, before the deplorable embecile can do more damage. And the only reason ISIS was formed and so called “moderate” jihadists exist in Syria and Iraq is because the USA, GB, France, SA, Qatar and others have armed them. Easy to understand even for an empty US head. The syrian people will decide, not the US. Ha-Ha. He’s absolutely crazy. 🙂 None of the world’s politicians have the same popularity in their country as Assad in Syria. Assad will end when the Syrian people want it. Not when Tillerson wants it. The Russian military might be the only reason the Syria Army is winning, but if not for the US and it’s cabal of criminals, Russia would not have been needed. ISIS would have never been formed and many thousands would still be alive. The same goes for Libya, where there was no ISIS, only the criminals from the west… especially the sorry a*s French that precipitated the whole attack. What he wants to realize with such infamous nonsense!?? – And everybody knows that Mistura is a puppet of the US deep state! Rex Tillerson seethes with impotent rage. May God rid the earth of this scumbag’s presence..along with McCain’s, Paley’s, Power’s, Rice’s. 1.) Mr.Tillerson, it’s not up to Washington to decide who is fit to lead a country. There are things called elections for this and AFAIK, your boss has been elected so if Muricans can elect a moron (the 2nd in less than 20 years), Syrians have the right to chose whoever they want. UN can always monitor the elections if some states think they may be rigged then we’ll see who wins! 2.) 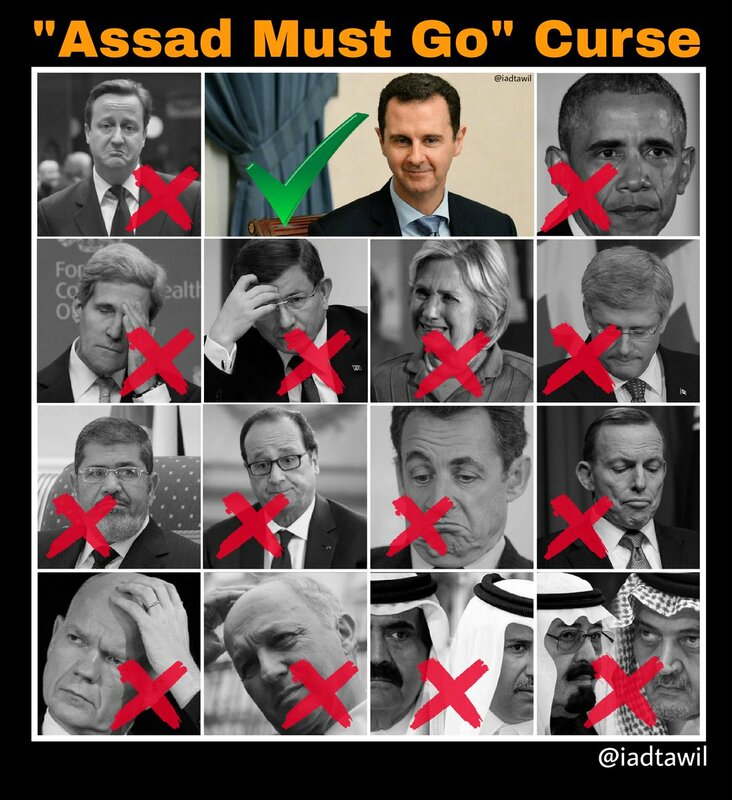 Never heard about the Assad curse? Last victim of the curse? Maybe they (the Globalists) are planing to assassinate him, it is clearly an indirect death threat from this s**t hole of Judeo-Islam. The whole USrahell dominance is coming to an end, wake up, idiot T.rex, this is not pre-history. In the real world the reign of the most evil and despicable American Israeli empire is coming to an end and these pathetic words only underline how wretched and deluded they are in defeat. Tillerson would make a better comedian than Secretary of State, but I guess that role is taken by the President. Tillerson speaks with a forked tongue. The idiot should be grateful that Russia has kept Assad in power. The day Assad falls, ISIS all over the world will start cutting throats. And people think it’s only Americans that believe the Islamophobic BS. it amazes me that there are people that still believe that ISIS is a radical Muslim terrorist group…and not a western proxy war tool. Tillerson is a terrorist who needs to be shot in the head. Tillerson….. what a vacuum. Completely irrelevant. Assad family is NOT coming to an end. Tillerson full of it. What a POS. Not sure If is true. This old fool does not know that Trump will soon replace him with a general.